When I was a first-year high school teacher, I was very busy. Most mornings I would leave the house at 6am with my housemate (a fellow teacher) and drive the thirty minutes to school in the dark, breakfasts in our laps as we prayed the Rosary together. It was a full day. We’d usually hit a wall about 5pm, drive home for dinner, and then sit across from one another prepping for the next day at our dining room table until 10pm (or later). I don’t know how I did it (well I do, by God’s grace) but every Sunday I would do my best to tune out the many responsibilities of teaching and turn to the Mass, to reconnecting with family, and finding leisure with friends or by myself. What strikes me about today’s reading from the Book of Leviticus is that at least four times our Jewish brothers and sisters were exhorted to honor the Sabbath and to do no work, not only to honor the Lord for the gifts of the harvest, but also, I’d imagine, because it was good for them. Today, too, it does us immense good to rest, find intimacy and solace with Him in silence, and to reconnect with those whom we love. 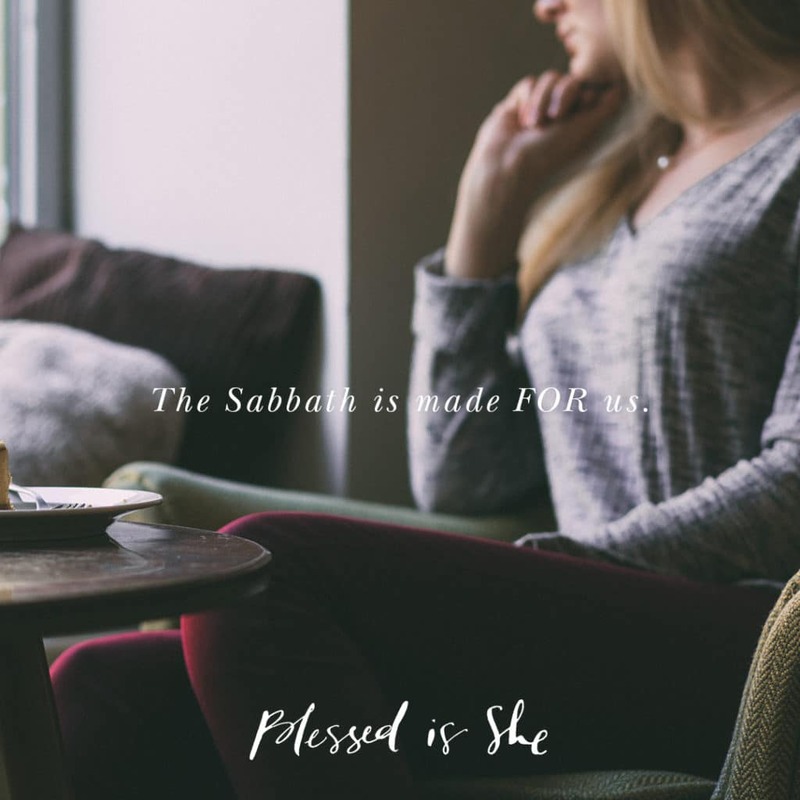 The Sabbath is made for us. What a terrible waste when it is squandered. Sisters, I implore you to look ahead to this upcoming Sabbath (just two days away!). What changes can you make to honor the Lord and offer yourself the rest and intimacy with Him that you desire? Can you put an auto-reply on your email that says you’ll reply on Monday? Turn off the alert notifications on your phone? Do your grocery shopping and other errands on Saturday so that your Sunday is free and unencumbered by to-do lists? Then, look forward to the Sabbath as a time to reconnect with your loving Father. Perhaps you could spend a few extra minutes in prayer after Mass or seek out Adoration. Maybe try a new or forgotten form of recreation—like painting or trying out a new recipe. Not because it is on your to-do list, but because it gives your heart joy and because it allows you to remember the immense gift of the Sabbath. There is nothing—nothing—like a truly lived Sabbath, Sisters. Pass it on. It does us immense good to rest, find intimacy, and to reconnect with those whom we love. I try to remember that God gave us the Sabbath day of rest so that we will be from all earthly masters and be able to remember who our true heavenly master is, God.